»» Download Password Bank Vault for free! Password Bank Vault ::: a computer program that allows users to manage passwords. Using Password Bank Vault can be stored in a secure location, password protected, all important passwords. 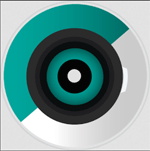 »» Download Panopreter Basic for free! Panopreter Basic ::: a computer program that allows users to convert written text in different audio formats. Using Panopreter Basic can listen to your text documents, the program reads different formats aloud. 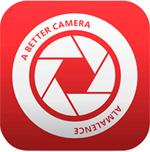 »» Download PhotoMarks for free! »» Download Postimage for free! »» Download SpeedyPainter for free! »» Download Back4Sure for free! Back4Sure ::: a computer program that allows users perform backups. »» Download Remo Recover for free! Remo Recover ::: a computer program that allows users to retrieve data. »» Download FolderHidden for free! FolderHidden ::: a computer program that allows users to manage files. Using FolderHidden can hide files and folders on the hard drive or multiple removable devices. »» Download Appandora for free! Appandora ::: a computer program that allows users to manage content on smartphones. Using Appandora you can transfer files, install applications or organize your multimedia content. »» Download Sticky Password for free! Sticky Password ::: a computer program that allows users to manage passwords. Using Sticky Password, you can create and manage all your passwords from one place.